SCDNR outreach coordinator Alix Pedraza is forming a coalition for conservation that spans the diverse cultures and communities of the Palmetto State. When Alix Pedraza interviewed for an SCDNR student internship in 2014, she impressed the panel of wildlife biologists right off the bat with strong academic achievements, accolades from her college professors and fluent bilingual skills to boot. Petite in stature, her size was mightily overshadowed by a can-do spirit that was hard to ignore. As a college student in her native country of Colombia, South America, Pedraza started out in the education field and was on track to become a teacher. But her father's innate appreciation of nature had rubbed off on her, and deep in her heart she felt that biology was a better fit. Following in the footsteps of her brother, she decided to plant new roots right here in South Carolina - and soon enrolled in the wildlife management program at Horry Georgetown Technical College. Pedraza's journey to become a biologist would be tedious, but the challenge only inspired her to work even harder. During the months and years to come, every waking hour was allocated to exams, field studies and working to pay the bills. It was also during this time that she earned her U.S. citizenship, quite a memorable and honorable achievement for this budding biologist. Now, sitting across the table from five experienced SCDNR biologists, Pedraza talked about her interest in ornithology and migratory bird research, catching the attention of waterfowl biologist Dean Harrigal, who had come to the interview looking for a candidate who would be able to operate machinery and make repairs at Donnelley Wildlife Management Area. The decision and the job wouldn't be easy. After the interviews came to a close, the panel went their separate ways. Wildlife biologists often work in remote locations throughout the state, and those two-lane country roads can sometimes be long. On the drive home from Georgetown to the coastal marshlands of Donnelley WMA, Harrigal had plenty of time to mull over options, and time to give serious thought to Pedraza's potential. "I was looking for someone to do technician's work…heavy lifting, mowing," Harrigal said. "We interviewed a handful of candidates. Alix was a little more academic. I knew we needed to find a place for her, but at the time I didn't see anybody who could. I was driving between Awendaw and Mount Pleasant, and it hit me. I can take Alix! It came from the back of my mind to the front of my mind. One day we will need a biologist who can communicate with the Hispanic community." Although the labor intensive responsibilities that went along with the internship wouldn't be for the faint of heart, Harrigal was confident that this young biologist was not one to shy away from hard work, and her bilingual skills would be a tremendous asset. 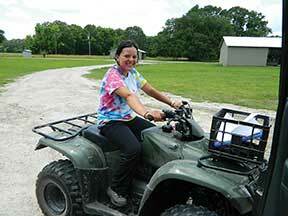 Within a few days, Pedraza was offered an SCDNR internship at Donnelley WMA to start in May of 2014. And so began the story of a student intern who would soon set a new course for her career as well as South Carolina's natural resources agency. "I moved to Donnelley WMA and lived there from May through August," Pedraza said. "These were the happiest months of my life." 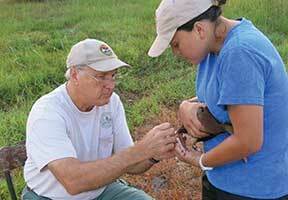 Harrigal coordinated with fellow SCDNR wildlife biologists to get Pedraza involved in a wide range of projects. "We paired her up with SCDNR biologists Christy Hand and Felicia Sanders. She worked on botany projects and banded wood storks. We assigned her to some of the fun stuff, but also the technician work, and she never complained." "I started out checking bluebird boxes - I was chased several times by bees," she said with a slight grin. "I paddled the canoe and learned to drive a four-wheeler. We checked wood duck boxes, and there were alligators, bees and wasps all around." 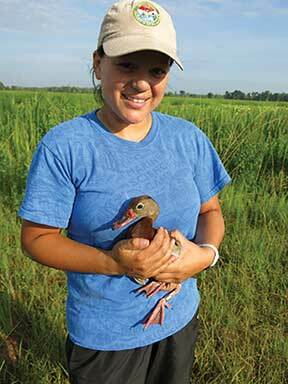 The projects grew, and eventually she was banding black bellied whistling ducks to track their range. 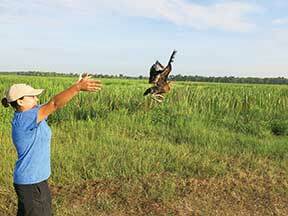 "I helped Christy Hand count wading bird colonies and band chicks. I got to fly in one of those tiny planes. I felt really sick because it kept circling around and around." 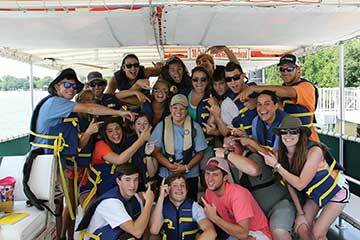 During the summer months, the student became the teacher as Pedraza connected high school groups with the outdoors. 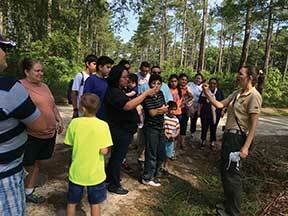 She led Camp Wildwood students through the marshlands of Donnelley WMA and 4-H students through the forests and swamps at Webb Wildlife Center. 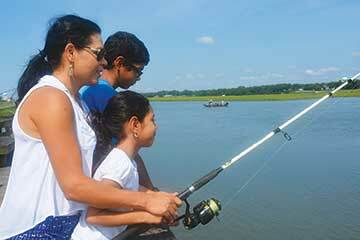 Unknowingly, she was preparing for a much larger role at the SCDNR. Harrigal took note of Pedraza's leadership instincts and encouraged her to attend various types of meetings to get to know her colleagues and stay in tune with the big picture. Her footprint was growing in South Carolina, as she was able to adapt to various roles and had a knack for instilling excitement about the outdoors. At an SCDNR Deputy Director's meeting, Director Alvin Taylor and Harrigal struck up a conversation about Pedraza, quite by happenstance. Harrigal said, "I stopped by to meet with Director Taylor. I told him a little bit about our intern, and as I did, he looked at me with a stunned look on his face. He said, 'We have spent hours talking about how to reach out to the Hispanic community. I want to meet her.'" "Normally, staff drive to the Columbia office to meet with the Director," Harrigal said, but Director Taylor was ready to get the ball rolling. Without waiting to set up a formal meeting, he drove to Donnelley WMA to meet Harrigal's intern. "I didn't know anything about it [the meeting]," Pedraza recalled. "Dean told me, 'Make sure you are at the office,' but I didn't know why. I thought I was in trouble." Pedraza was introduced to Director Taylor, and the wheels were in motion. "He started talking to me about reaching out to the Hispanic community. They had tried fishing rodeos. I didn't know what a fishing rodeo was. He asked what my ideas were." The director and the intern talked for quite some time that day about how the agency could improve Hispanic outreach. With their thoughts and outlines now on paper, Director Taylor and Pedraza had set the course for the agency's Hispanic outreach program. There were many decisions to be made and groundwork to be laid, but their shared vision was soon realized. 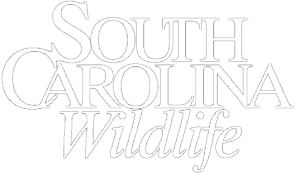 During the months that followed, Pedraza completed her biology degree at Coastal Carolina University while working part-time with the SCDNR to create a Spanish version of the agency's website. This involved translating more than 240 web-pages of information, covering each division of the agency. Within a few days after graduation, Pedraza went to work at SCDNR headquarters translating brochures, charts, posters and promotional items. SCDNR social media sites were also broadened to provide Spanish content within Facebook and YouTube. The Chanticleer alumna had officially achieved her goal of becoming a full-fledged wildlife biologist, and in the interim, she was paving the way for the SCDNR's new Hispanic outreach program - both were monumental milestones. Although the internet was the fastest way to get the word out about news and events, Pedraza realized that talking one-on-one with the community was more effective. As she reached out to Hispanic communities to spread the word about agency programs, events and outdoor opportunities, she found that talking by phone or in person increased participation. "Hispanic audiences want to know the 'person' behind the program," she said. "They trust and identify with that person. Older generations feel more comfortable speaking Spanish, even if they are bilingual." Pedraza started delivering event flyers to family-friendly locations like churches, schools and recreational facilities. And her SCDNR social media posts in Spanish were generating lots of "likes." Slowly but surely, Hispanic communities started attending family field days, fishing rodeos and other outdoor activities. Pedraza took note of suggestions and concerns along the way. It turned out that buying a license to hunt or fish was a problem for those who are nonresidents with only passports or similar documents to present. After this issue came to light, regulations were soon amended to allow a specific list of international documents as valid identification when purchasing a nonresident hunting or fishing license. 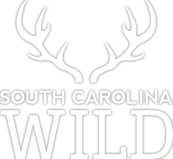 This was a tremendous turning point in South Carolina, encouraging broader participation in outdoor recreational activities and encouraging stewardship. Harrigal explains that the mission to respect and conserve natural resources is not new to this generation. The message of stewardship has spanned many decades. "Clean water, clean air is essential to our quality of life," Harrigal said. "Helping the next wave of people realize the importance [of conservation] will be the measure of our success." South Carolina's Hispanic population increased by more than 140 percent from 2000 to 2010, and in recent years this trend has continued at a rapid pace. 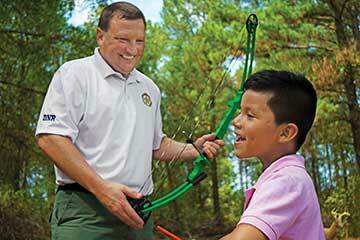 Pedraza is regularly developing or making adjustments to SCDNR outreach to meet the needs of this growing audience. And Hispanic communities have connected with Pedraza, not only because she can speak their language, but also because she is a conservation role model with a contagious enthusiasm for the outdoors. "A lot of times we forget to manage for smiles," Harrigal said. "Alix is transferring excitement about conservation. She has that spark!" "When people come from another country, conservation is not the first thought. But if we talk early, we can discuss the importance of conservation. A better life is connected to clean water, clean air and access to the outdoors and natural areas." "I am impressed by many things, but perhaps most by the state, national and international partnerships that Alix has been able to form within the last year," said Director Taylor. "She is continually working hand in hand with the National Shooting Sports and Recreational Boating and Fishing foundations to promote natural resource opportunities within the Hispanic populations, as well as to create best practices for other states." In addition to conveying a message of natural resources conservation, Pedraza also serves as a translator during times of natural disaster. The South Carolina Emergency Management Division called upon Pedraza to translate life-saving messages to Hispanic residents during the aftermath of Hurricane Matthew. She worked around the clock for days on end to assist the state's emergency officials in saving lives and providing media updates as needed. Looking back on that first Hispanic outreach meeting at Donnelley WMA in 2014, Director Taylor and Pedraza can proudly say that they have brought to fruition many of the goals that were jotted down on notebook paper that day. 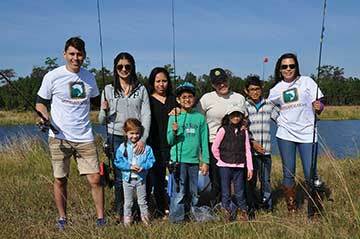 The Hispanic Outreach program is breaking down communication barriers in so many ways across the state, and paving the way for many to follow in Pedraza's footsteps - young biologists, as well as novice anglers and hunters of all ages! 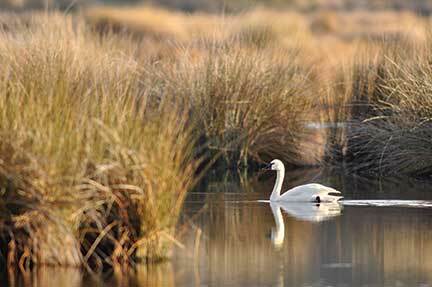 And the program is forming a broader coalition of conservationists in South Carolina and across the country. Nationally, the SCDNR's Hispanic Outreach program has been recognized and awarded for its success - Pedraza has advised many other state agencies and organizations in other regions or areas of operation. In fact, the SCDNR's Hispanic outreach initiatives have been so successful that the program has expanded to accommodate all minority outreach efforts and is now known as the agency's Diversity Outreach program. Pedraza was recently honored by The Wildlife Society with the 2016 Diversity Award. The award is not only a tribute to the value she has added to the Palmetto State's Hispanic outreach efforts, but also underscores the immense respect that professional colleagues have for her as an ambassador for natural resources conservation. 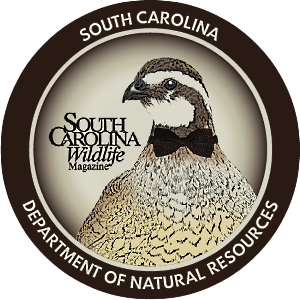 Cindy Thompson is the managing editor of South Carolina Wildlife.